Situated on the banks of the Zambezi River below Chirundu on the Zimbabwean side. We offer the discerning traveller a chance to experience the beauty of the middle Zambezi valley river system and it's surrounds from the comfort of a quiet, wild and exclusive lodge. From candlelit dinners to afternoon sundowners on sandbanks, we offer you the full 'unwind and relax' package. 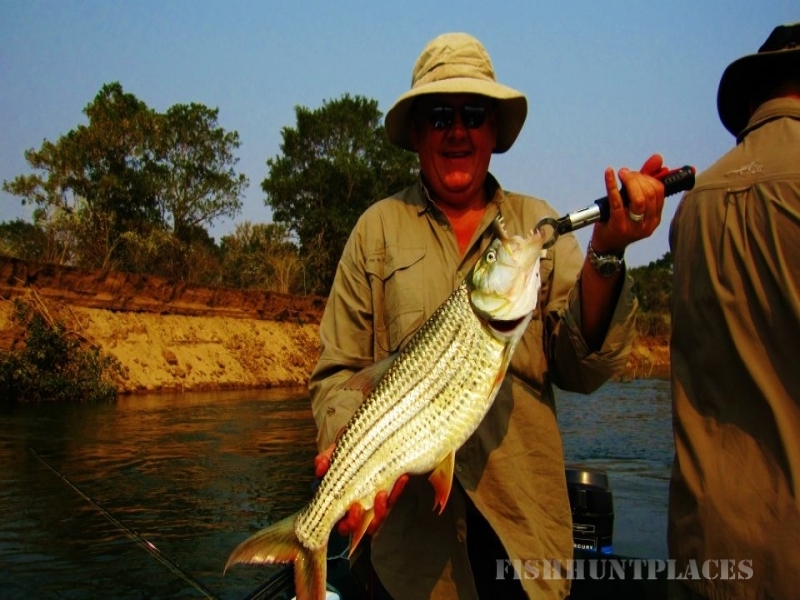 There are loads of freshwater species of fish in the Middle Zambezi river section. 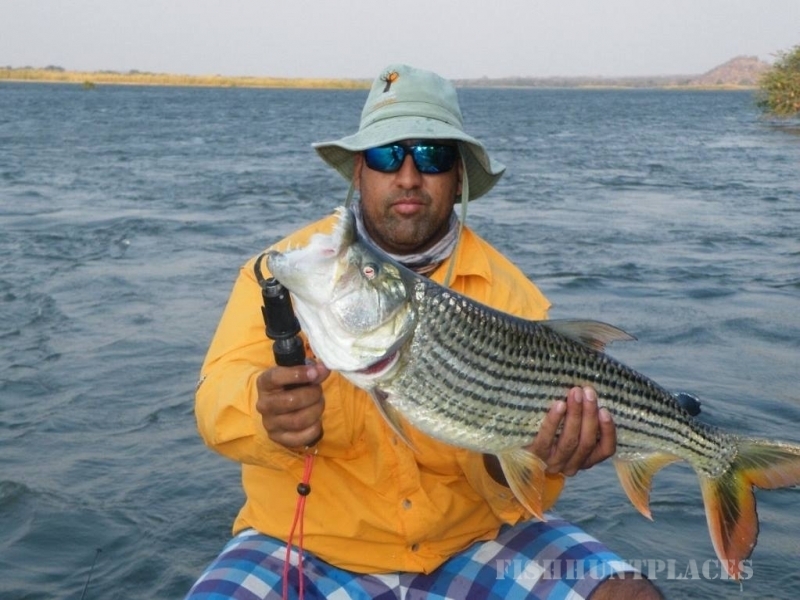 The most famous being the formidable Tigerfish. 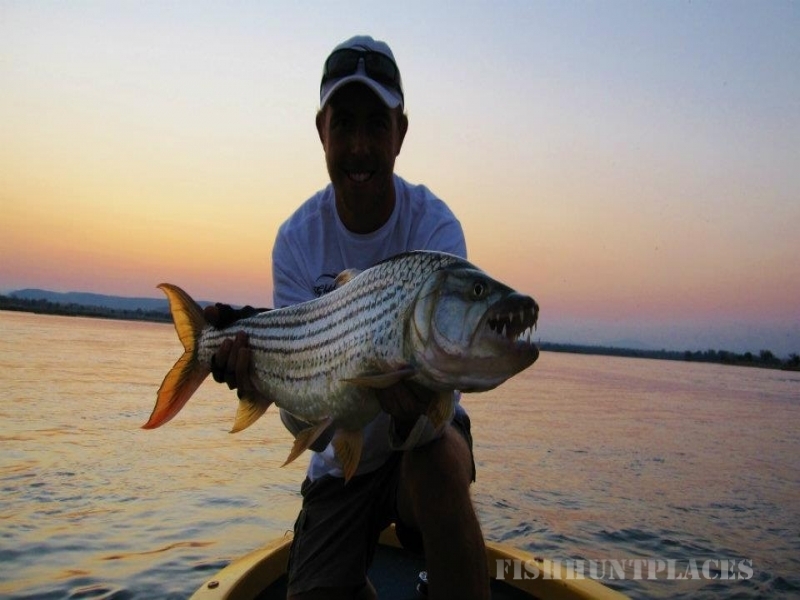 Tigerfishing is exhilarating sport for beginners & professionals alike. 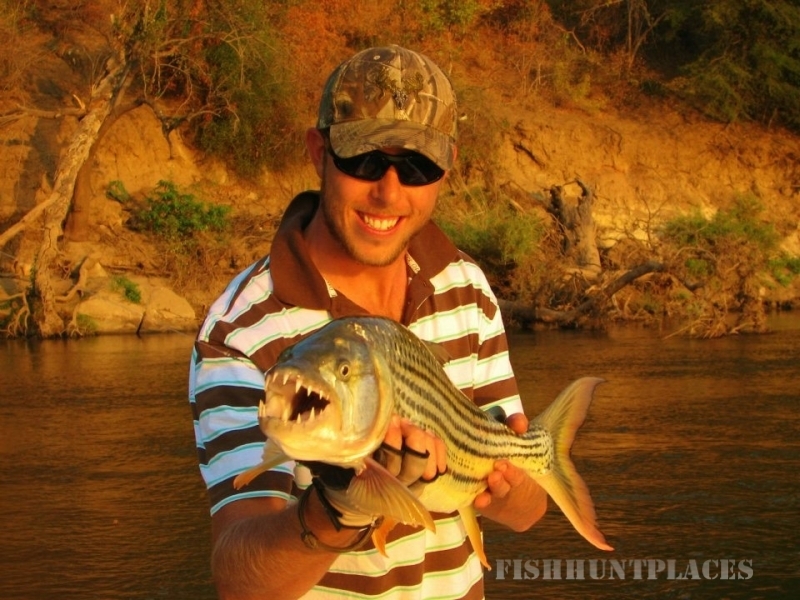 The Tiger fish is an apex predator in the River system & will give any angler a serious adrenaline rush when it smashes your lure or fly. 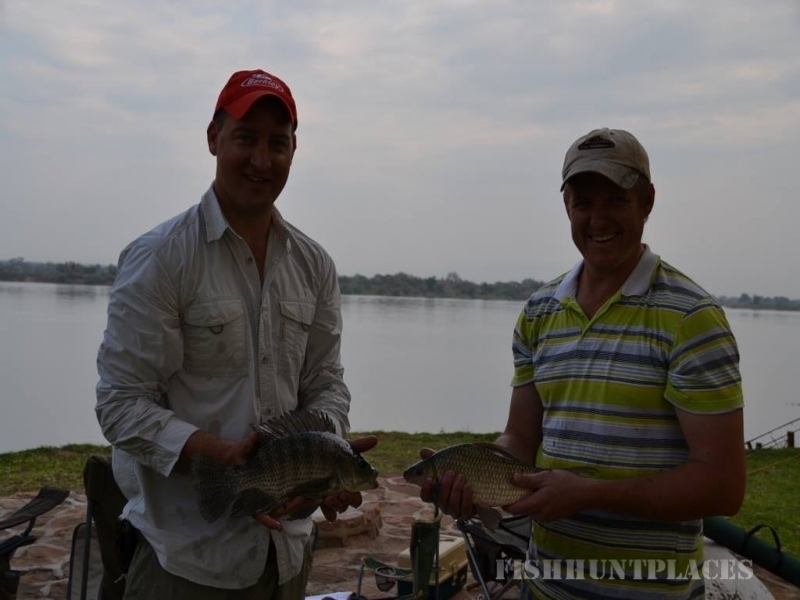 There are many other species to catch in the Zambezi, including the huge Vundu, Catfish , Electric barbel, the rather odd looking & aptly named, Squeaker, Bream (tilapia) & Chessa. If you have Lady luck on your side- you might hook an elusive Purple Labeo. Our resident guide will ensure that your fishing excursion is customized to suit your needs & to keep you as comfortable as possible. We have a Strict Catch & Release Policy at Jecha & encourage good fishing practices like sufficient revival of the fish after a fight, before its release. We do not allow guests to take fish home for 'wall mounts' If you require this- a good quality photo & a quick measurement will be sufficient for your taxidermist to make a synthetic replica.